What do the British rock band Queen, country legend Dolly Parton and classical music composer Stephen Paulus have in common? 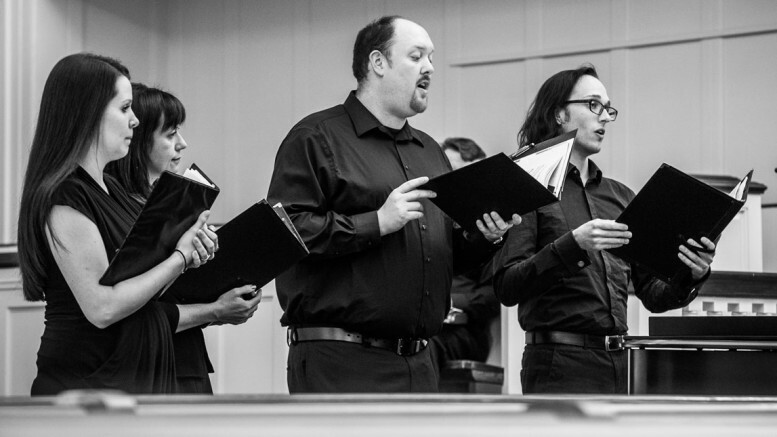 Their music shares the program for a eclectic concert series titled Vocális By Request presented by Vocális Chamber Choir. The performances are Saturday, March 12, 7:30 p.m., in Orchard Park Presbyterian Church, 4963 S. Buffalo St., Orchard Park, and Sunday, March 13, 4 p.m. at St. John Grace Episcopal Church, 51 Colonial Circle, Buffalo. Paulus’ elegant “Pilgrim’s Hymn,” Queen’s rock anthem “Bohemian Rhapsody,” and Dolly Parton’s poignant “Light of a Clear Blue Morning,” are featured. A selection of spirituals, traditional British melody “Scarborough Fair,” 19th century Americana folk song “Shenandoah” and a few classical pieces are also on the bill. Tickets are available at the door one hour before the performance and are priced at $15 for adults and $10 for students. Be the first to comment on "Vocális By Request concerts feature a varied program"